One version of the Saturday drowning on the Alapaha River near Lakeland is being carried all over the country, from Richmond to Texas, and there is another version. A small child wandered away from a group of adults and into the Alapaha River at Pafford’s Landing, he said. When the father noticed what had happened he jumped in, swam to his daughter who was struggling to keep her head above water and held her up until someone took her from him, Norton said. The father never resurfaced. Pafford’s Landing is at the private park owned by Lanier Parks, Inc. just south of GA 37 (which is also GA 122 there). If when you pull off of the highway going east, instead of continuing straight to the boat ramp, you turn right on the dirt road into the woods, you come to Pafford’s Landing. The man was Cary Russell Self, 44, according to officials in the VDT story. Our condolences to his family. I would like to make a change in this story cause I was there, I witnessed it and actually was one of the people who swam to the little girl. She didn’t wander off her daddy was with her. The whole time we were there that man never took an eye off those kids! They were trying to go to the bank on the other side and didn’t know there were drop offs in parts of the river. He unfortunately hit one and went under and held her up as long as he could and the current wore him out and took him! I just wish we would of got to them a little bit before and we would of been able to get to him too. This man is a hero, he sacrificed his life for his baby girl! Georgia’s DNR says Self was attempting to cross the river with his younger daughter, but ended up getting pulled in by the current. The daughter was pulled out to safety. Obviously the man thought he knew the way across, or he wouldn’t have taken his small child. Lanier Co. officials say a recent storm that week could be a contributing factor to the incident. “You could’ve swam there a hundred times, but things change, atmosphere changes, water changes. Underneath what you thought you knew changes, so we need to be cognizant of that when we’re in these bodies of water”, says Chief Herb Bennett of the Lakeland Police Department. Half a dozen WWALS members were also on the Alapaha River last Saturday, although farther downstream, between US 84 and May Day. We also saw that the river had changed drastically from two weekends before when some other WWALS members went on the same section of river: we saw many rapids they floated right over, because the river was five feet lower when we went. One of our party, who never dunks, capsized twice. This is why we always say wear your personal floatation device. It’s much easier to put it on before you fall in, and anybody, even the most experienced paddler, can fall in. See also Alapaha River Water Trail safety and etiquette. This was at least the second drowning in the Alapaha River in Lanier County within a year. In July, a 2-year-old girl drowned during a family trip. When a storm approached, her family took shelter under a bridge. Lanier Co. officials say this is the third drowning incident in the past two years. Let’s try not to have any more statistics like that. 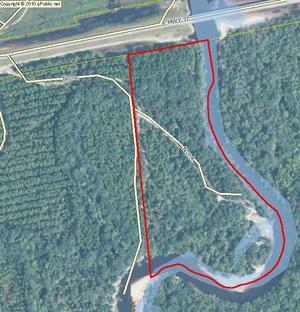 This entry was posted in River, Safety and tagged Alapaha River, Alapaha River Water Trail, conservation, Georgia, Lakeland, Lanier County, Lanier Parks, Pafford's Landing, river, Safety, south Georgia, watershed, WWALS, WWALS Watershed Coalition on May 10, 2016 by jsq.